This is a set of 6 memo / note paper refill cubes. 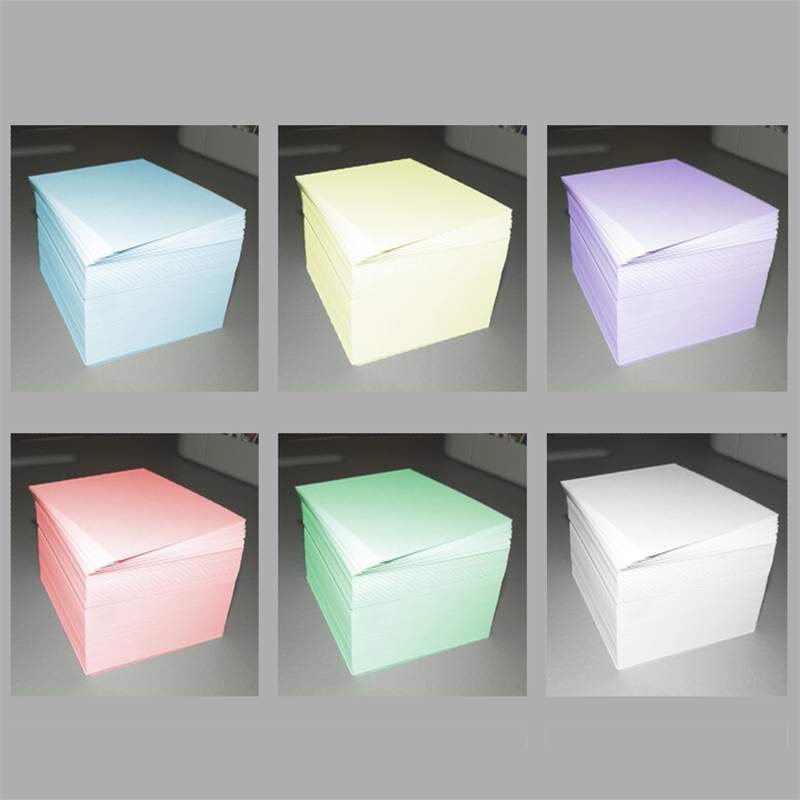 Each note cube paper stack measures 3.5" wide x 3.5" deep x 2" tall and has 500 sheets of blank, loose papers. Six note cubes in assorted colors. These do not have the sticky backs ... they are loose sheets of paper.